Dissections of owl pellets generally find more rodents than other prey; in barn owl pellets, voles are most common. 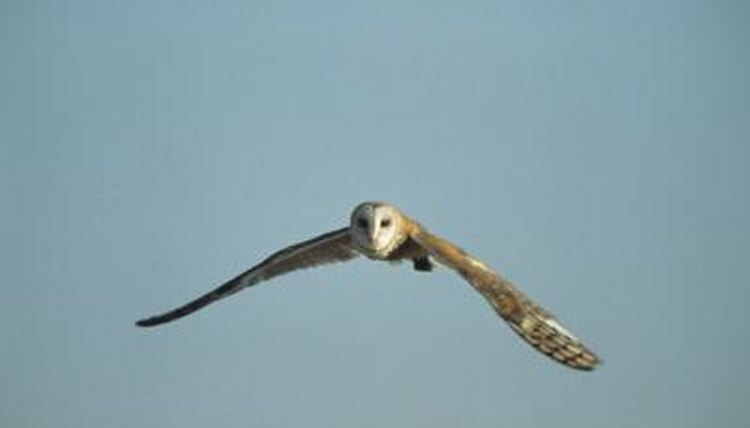 Sterilized pellets from barn owls can serve as learning aids in elementary school through college classrooms; the pellets teach about an owl's food and habitat. Owl diets vary by species and location, and possibly by season as well. They eat small prey whole and can pluck jumping and flying prey such as squirrels, chipmunks, birds and bats out of the air with their talons. In addition to small mammals including voles, mice, rats, moles and shrews, owls in habitats that include them also eat fish, reptiles and amphibians. Their strong beaks and talons enable them to tear larger prey into chunks. Owl pellets contain the indigestible parts of prey, including skulls, bones and fur. Owls regurgitate these parts after eating, and the pellets end up below the owl's roost. Two studies on owl pellets found voles to be the most common prey -- either pine voles or meadow voles depending on the location, according to American researchers who published their results in the Journal of Ecological Research. Because they're plentiful in woodland and meadow environments, voles serve as a mainstay in the diets of many owls, including barn owls and great horned owls.